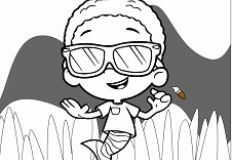 Let us continue with the new games for today and bring you a new and beautiful adventure game for you. 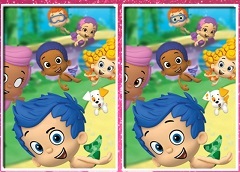 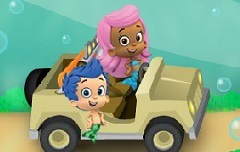 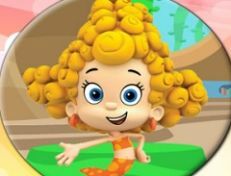 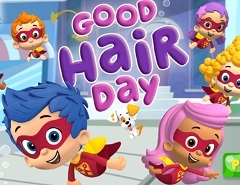 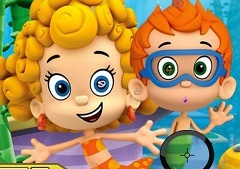 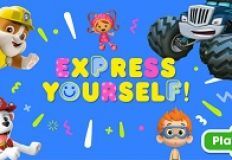 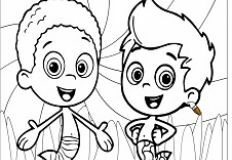 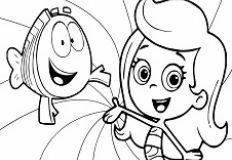 We want you to have as many beautiful games as we can and that is why the administrative team of games-kids.com has decided to offer you this new and beautiful online game,a new game in which you will have alot of fun playing with some fo your favourite characters from the serie Bubble Guppies. 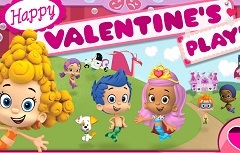 In this new game Molly and Gil were heading to school with Bubble Puppy, and while he was playing, Bubble Puppy went into the enchanted woods. 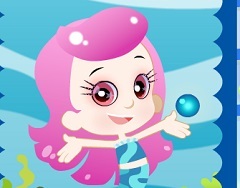 There's a mean witch in the Enchanted Forest who used her bubble potion to turn Bubble Puppy into a frog. 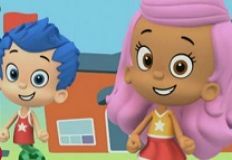 It's up to Molly and Gil and you to save him by making their own magic potion. 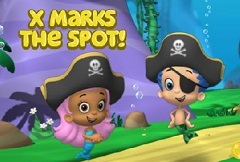 Move your mouse back and forth to guide them through the forest to collect ingredients. 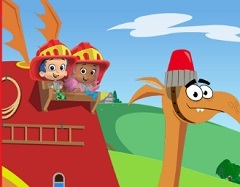 But watch out for the witch's traps and other obstacles. 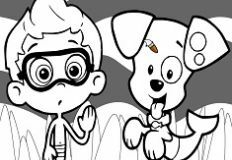 Play this new game and help your friends save Bubble Puppy!